The US Navy's first trimaran Littoral Combat Ship, the future USS Independence (LCS 2), during Builder's Sea Trials in the Gulf of Mexico July 2009. Image via Austal. As commercial industries grapple to understand the full potential of artificial intelligence (AI) and big data, defence companies are already looking at ways to bring the future of science into defence technology. Speaking to Defence Connect, Austal chief executive David Singleton said the future of shipbuilding sustainment could be dramatically transformed by AI and big data. "[Sustainment] is good business and you know you have a ship in your yard for maybe two years, but you sustain it for the next 25 years, that creates a lot of activity as well, a lot of jobs and a lot of activity," explained Singleton. "There were times last year in our ship yard, where half of our ship yard was sustainment activities. But sustainment’s a very sophisticated market, it's not just repairing things, it's much, much more than that. If I could try and simplify it a little bit, high quality sustainment is not about fixing something when it's broken, it's about fixing something just before it is about to break so that ships are at sea for more than 300 days a year, and are available to the Navy. "So what we think about, and what we've been talking about, is kind of a Silicon Valley approach to this, which is asking yourself the difficult questions. Wouldn't it be cool if a ship could do this? Wouldn't it be cool if the ship told us when it was in strife and when it was going to break down? Wouldn't it be cool if the fleet of ships talk amongst themselves and understood that actually there's a risk with this pump under these conditions and it's going to fail?" The "Silicon Valley approach" Singleton speaks of could pay dividends for the Australian industry if Austal and the defence industry can become the "thought leader" of the world for this technology in the defence space. "Now you think about that and you think well that sounds like science stuff, but this isn't, this is the world of artificial intelligence and big data that is now becoming part of our lives," he said. "Now if we can bring that kind of thinking into sustainment, then our ships will become much more available for our Navy, which is what we want them to be, but also allow us to be a thought leader in this stuff around the world. "Remember we in Austal have a big operation in the United States, all those things that we develop and generate here we can take and sell into the United States as well." Austal is currently bidding for the Australian $3 billion Offshore Patrol Vessels program in partnership with Fassmer. 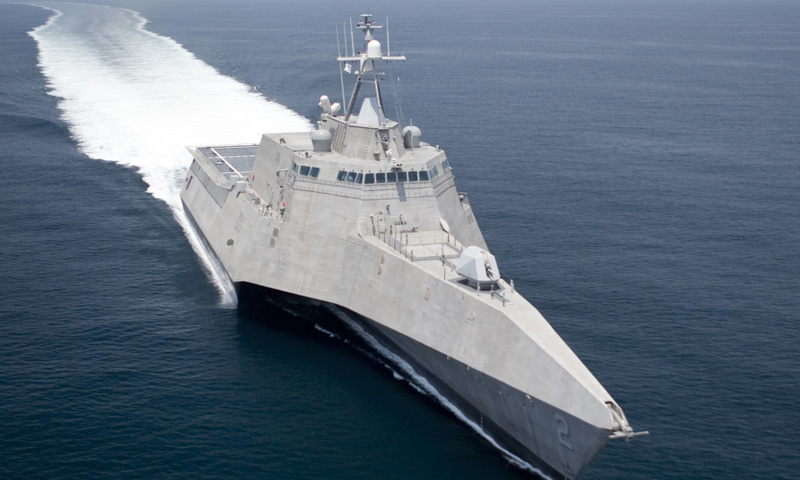 The company recently secured a further contract for the Independence Class littoral combat ship (LCS) for the US and a $190 million contract to design and build two trimaran ferries for long-term customer Fred Olsen S.A. of the Canary Islands, Spain.